Now this is a project that I'm way behind in posting about. 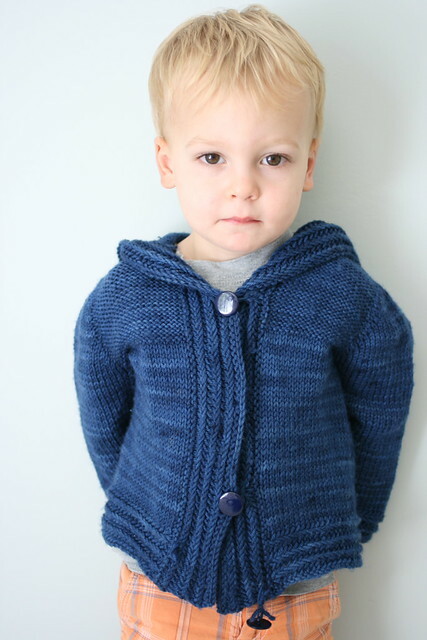 I began this sweater for Daniel before he even turned 1...and he's now over 2.5, eek! But he's actually still wearing it, so I think it still counts. 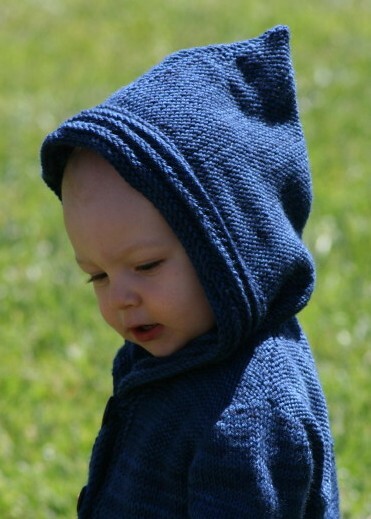 I've long admired Gudrun Johnston's Kerrera design, and one day I will make one for myself. 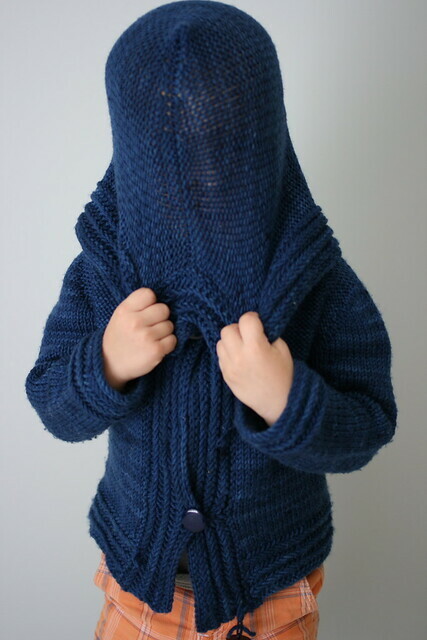 But, because kid knits just go that much faster, I thought I'd at least make one for my child. 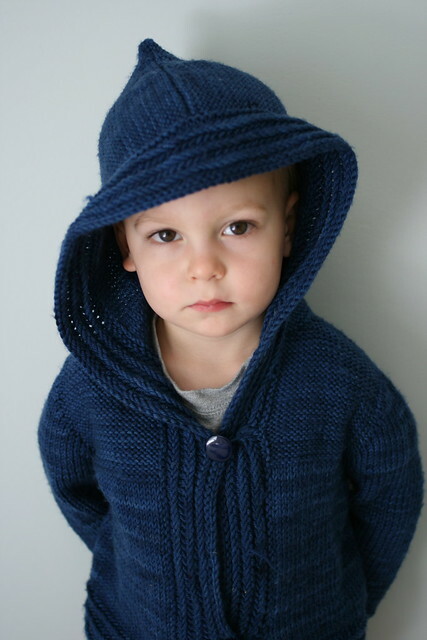 I began this hoodie back in mid-March 2012 and finished it about a month later. I don't remember much about the knitting of it, but I remember I was in the middle of Parapluie, frustrated about something that I couldn't get just right, took a break to start Kerrera, and then totally learned something new that solved my own design problem. That's why it's good not to live (or knit) in a bubble, designers! 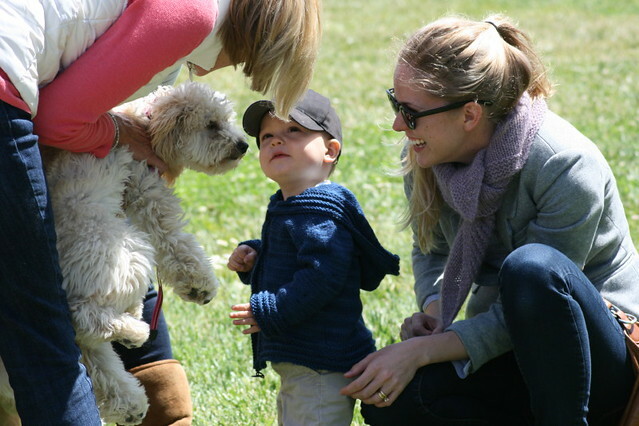 We can learn from each other! I can't believe he's holding still for this! I used Tess' Designer Yarns Superwash Merino and made the 18-24 month size. I highly recommend making a slightly bigger size than you think you need -- if you roll up the sleeves a little bit the first year, this sweater will take you through several seasons of wear! gorgeous little guy and hoodie! that colour is wonderful. 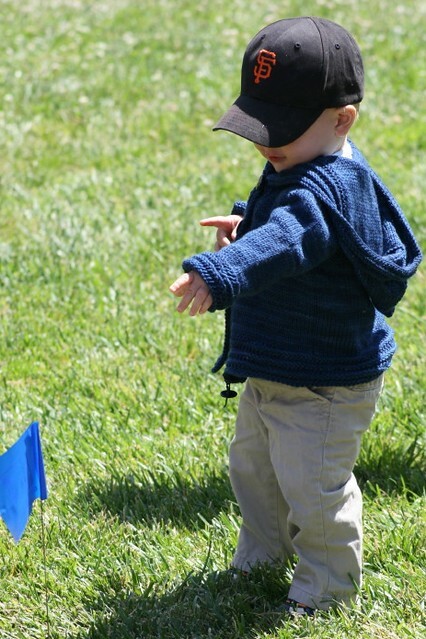 i loved how knits lasted for years as my wee ones were toddlers. they don't get wider, only taller :) fun knit! 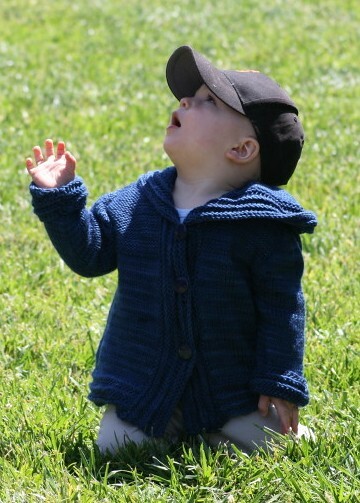 Oh my gosh, that sweater looks so great on him, and how awesome that you have got so much wear out of a hand knit for a wee one, that's super impressive. Love it! He's a photogenic guy! 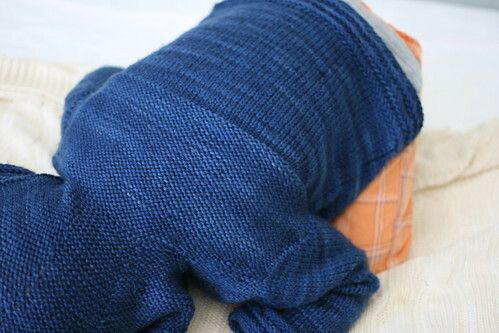 It's awesome that the sweater has fit for a while :) It's a great blue!